Auschwitz. Even the name of the infamous Nazi death camp sends a chill down my spine. 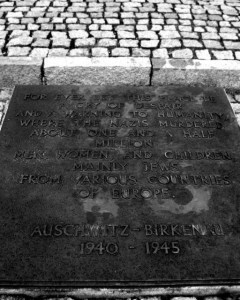 Although the camp and its neighbor, Auschwitz II (also called Birkenau), are both in Poland, they were the setting for a living nightmare experienced not only by Poles, but by people throughout Europe. From places as far away as Greece, Jews and other people designated for extermination by the Nazis1 were forced to board trains bound for Auschwitz. Many of them were made to pay for their own passage on the vehicles that would carry most of them to their deaths. The prisoners were told that they were being sent to a labor camp and that they could carry with them only one suitcase full of all of the goods they would need to live for the unforeseen future. And so they did as they were forced to do. Unable to cram everything they owned into just one suitcase, many of them wore nearly all of their clothing at once, which only made the heat on the crowded trains more unbearable. But that was nothing compared to what they would face once they arrived at their final destination. At Auschwitz, the prisoners filing off of the trains were separated into two groups–those the Nazis thought fit for hard labor (this group consisted mostly of young and middle-aged men) and everyone else (this group was made up of nearly all of the women, the children and the elderly). People in this second group were told that they needed to be sprayed with a sort of delousing agent before they got settled into their barracks. They headed into the showers, unsuspecting. There was no precedent in their minds for this kind of evil, and thus they had no way of predicting what was going to happen. But you know the rest. The “showers” were gas chambers. All of those layers of clothes, all of those suitcases packed with the goods needed to begin a new life–worthless. The Nazis kept meticulous records of all of the prisoners who lived at Auschwitz. But the names of those killed immediately upon their arrival never even made it into their records. 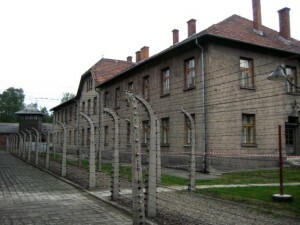 The “lucky” people in the group selected for labor were housed either at Auschwitz I in old army barracks (although surely the soldiers who once lived there were not made to sleep three or even more to a twin-sized bed) or in what were formerly horse stables at Birkenau (buildings that once housed 52 horses now held 400 people). Their prisoner numbers were tattooed onto their forearms and they were put to work. (Once in awhile, you see a Holocaust survivor with such a tattoo. It’s a sure sign that he or she was imprisoned at Auschwitz; it was the only camp that tattooed its captives.) Forced to endure inhospitable temperatures, psychotically inhumane medical experiments and near starvation, most of these prisoners died after only a few weeks. The Soviets liberated Auschwitz I and Birkenau on January 27, 1945–nearly 5 years after Auschwitz I was established and more than three years after Birkenau opened its creepy doors. Tragically, the Germans had been forewarned about the Soviets’ arrival. Just days before the Soviets arrived, some 60,000 prisoners were forced to undertake a death march to a concentration camp in Germany. 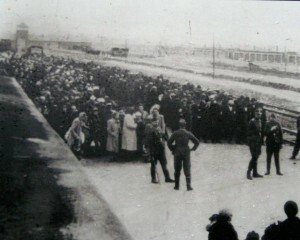 The 20,000 of them who made it to the camp weren’t liberated until months later. 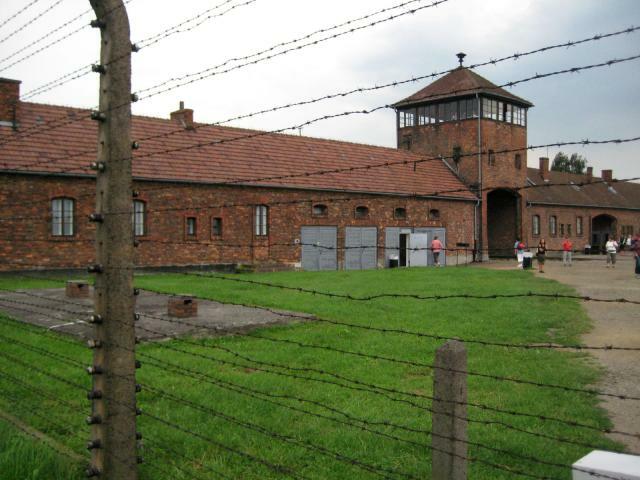 When the Soviets finally did get to Auschwitz, only 7,500 prisoners remained. Most of them were weak and near death, but they were alive. 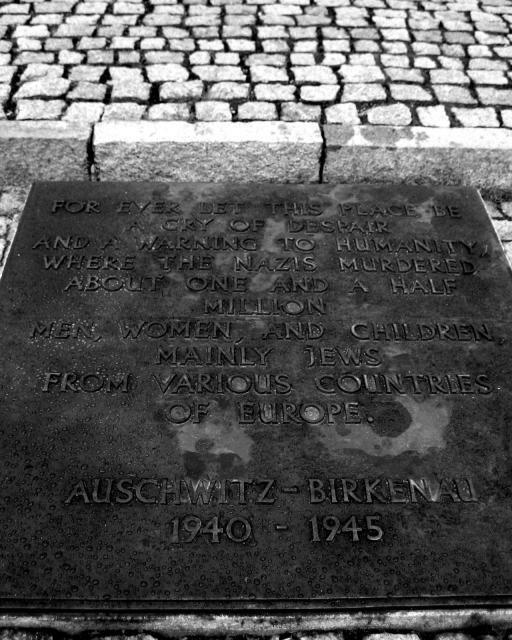 All in all, about 1.1 million people were murdered at Auschwitz, about 90 percent of whom were Jews from nearly every country in Europe. The day we spent touring Auschwitz was, of course, terribly upsetting and emotionally exhausting. Thanks to a great guide, however, it was also informative. Evidence of the Nazis’ atrocities was everywhere. 40,000 pairs of the victims’ shoes filled one room. Their toothbrushes and shaving kits were piled in another. Human hair took up a massive space along one wall. (The Germans shaved their victims’ heads and, unbelievably enough, used their hair to make fabric. When they liberated the camps, the Soviets found bags of the stuff waiting to be shipped.) Still another room–the saddest of all–was filled with the suitcases the prisoners brought with them on the trains from their homelands. Each was marked with its owner’s name and birthday. With tears in my eyes, I noticed that one of the suitcases belonged to a child who, at the time, was less than a year old.